Brewers’ Batters Battered; What’s the Appropriate Response? There’s been grumbling around Milwaukee that Brewers manager Ken Macha has not taken a firm enough stance when it comes to discouraging such behavior, especially in light of the fact that his pitchers had hit only 37 batters of their own. 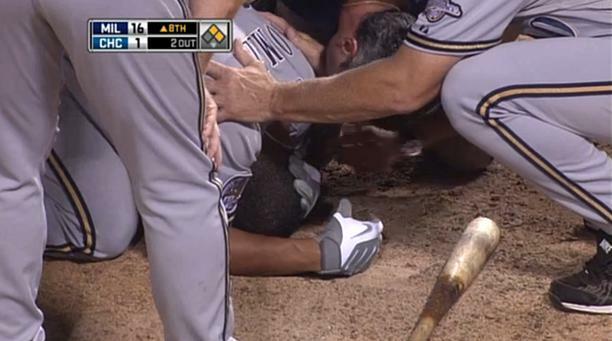 As an example, the Milwaukee Journal Sentinel pointed to the team’s most recent series, against the Cubs, in which four members of the Brewers were hit—including Carlos Gomez twice, once in the head (see photo above)—before a single Cub was targeted. Part of the problem was that Chicago pitchers drew warnings during each of the first two games, effectively precluding response from Milwaukee. Bush is right. Umpires have been systematically ordered by MLB to issue swift warnings in an effort to stem whatever retaliatory tide might be rising. The league’s goal is clear: a reduction in the number of intentionally hit batters inevitably leads to a reduction in the number of unintentional injuries. And owners want to keep their multimillion-dollar investments as far from injury as possible. This comes, of course, at a cost. The unwritten rules—particularly those involving retaliation—have been rendered somewhat toothless in recent years. Even if the Brewers wanted to respond along the way, they had to risk ejection to do so. And when a Milwaukee pitcher finally did hit a member of the Cubs, in the third game of the series (LaTroy Hawkins scraped Alfonzo Soriano with an inside fastball), he was tossed, even without a prior warning. Interesting that both Bowa and Bush used the word “fester,” because that’s exactly what happens. Grudges that are not settled immediately can quickly blow up into unnecessarily problematic encounters should the players behind them be forced to wait for a significant length of time to retaliate. Albert Pujols has been hit only once this season, in part says Bush, because Cardinals manager Tony La Russa is known to retaliate for such things. In light of Gomez’s injury, Macha suggested that any big league pitcher is skillful enough to keep from hitting an opponent in the head. Brewers GM Doug Melvin went so far as to suggest a $25,000 fine for such an act, saying that it’s ultimately up to the players’ union to put an end to the practice. 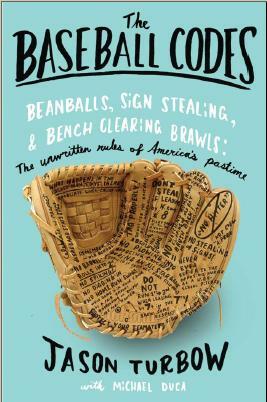 Each of these items merits its own exploration, but all are affected by the same overarching topic: Retaliation is an essential part of the game, and by precluding its proper execution, baseball is doing itself a disservice. Here’s a reaction- quit crowding the plate so much and you’ll be hit less.